UiPath has been recognized as a leader in “The Forrester Wave™: Robotic Process Automation, Q2 2018” report, which gave it the highest score among all vendors in the current offering category. Following a thorough assessment, UiPath achieved the highest score in the “Current Offering” category, the highest possible score in the “Market Presence” category and among the highest scores in the “Strategy” category, and also scored highest in the criteria of Bot development/core UI/desktop functions, architecture, system management and reporting. 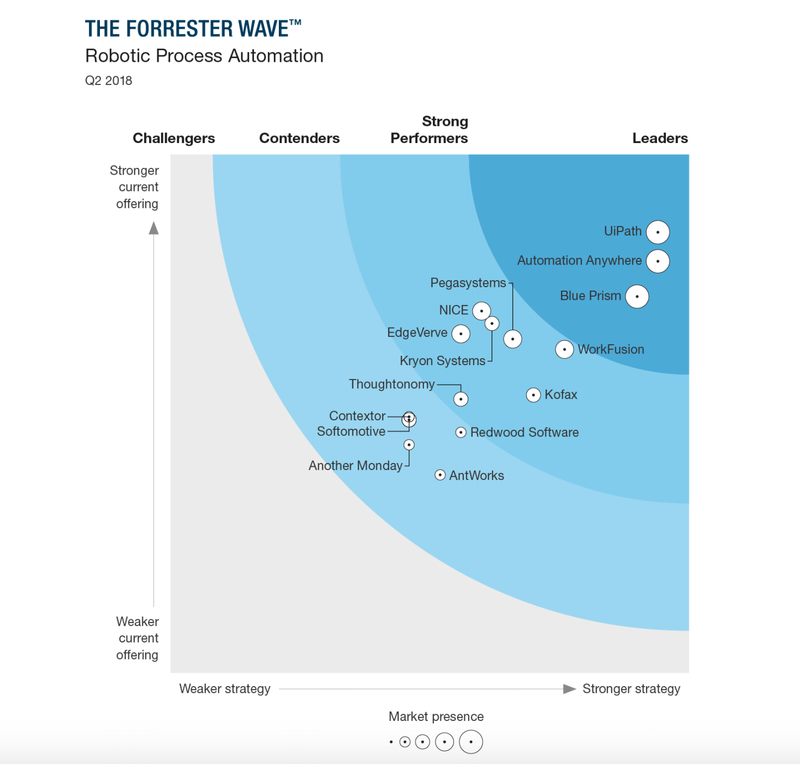 The Forrester Wave report uses a transparent methodology to compare robotic process automation (RPA) providers and shows how each of them measures up, helping infrastructure and operations (I&O) professionals make the right choice. Please register to view a full version of the report. Fill in the form to receive the report "Forrester Wave™ Robotic Process Automation, Q2 2018"